Over 70% of Australians would prefer to die at home if faced with a terminal illness. But only 14% do so. There is no ‘right’ place to die, and of course we do not always get the opportunity to decide where we die. But when given the option, most people want to die comfortably and in the surroundings of their choice. Approximately 70 per cent of Australians want to die in their homes - yet only about 14 per cent do. Half of Australians die in hospital, and about a third in residential care. This outcome is driven by a combination of community and medical attitudes, and a lack of funding for formal community care. It is creating a situation where people are dying in the very environments that they want to avoid. We now have an opportunity to reverse the current trend of impersonal and ‘institutionalised’ deaths. To improve the end stage of life we must advocate for patients to have a choice in where they die whenever possible, and to enable flexible care arrangements. Watch Helen, a palliative care nurse, talk about how services delivered in the home give Medibank members choice. The proportion of older Australians is growing rapidly and this is why more Australians are dying from old age than in generations before. And a recent Grattan Institute report has found our healthcare system hasn’t adapted to the change. The Institute’s Dying Well report found dying in Australia is more institutionalised than in most other countries. The report showed that people are twice as likely to die at home in countries such as New Zealand, the United States, Ireland and France. 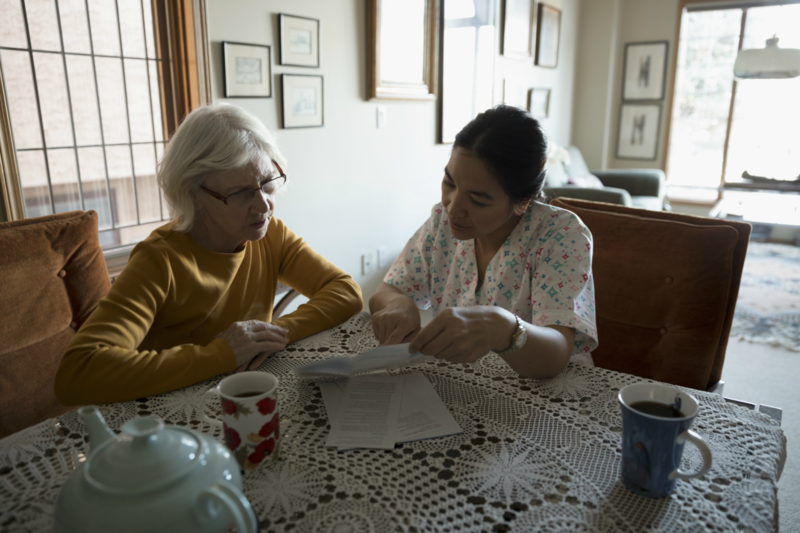 In August 2016, Medibank at Home commenced a partnership with a specialist community-based palliative care service to trial palliative care in the home for eligible Medibank members with hospital cover in Western Australia. Services provided to members are based on an assessment of individual need and include nursing, medical, psychosocial support, respite, allied health, domestic assistance and equipment provision. A bereavement care follow-up service is also available to the member’s families and carers. The primary principles of the trial are establishing goals of care that are in keeping with patient’s values and preferences, symptom management, and death in place of choice. This involves consistent and sustained communication and support between the patient and all those involved in his or her care. According to the Grattan Institute report, there simply aren’t enough palliative care services in the community to cope with patient demand. This means people often end up dying in places that aren’t suited to providing palliative care. We want our members to have choice over where they receive end-of-life care, and we can do this by bringing palliative care specialists into their homes. This is just one in a suite of Medibank at Home trial programs, aimed towards giving eligible members more choice when it comes to where they receive care, where clinically appropriate.